Prepare the cake batter according to package instructions. 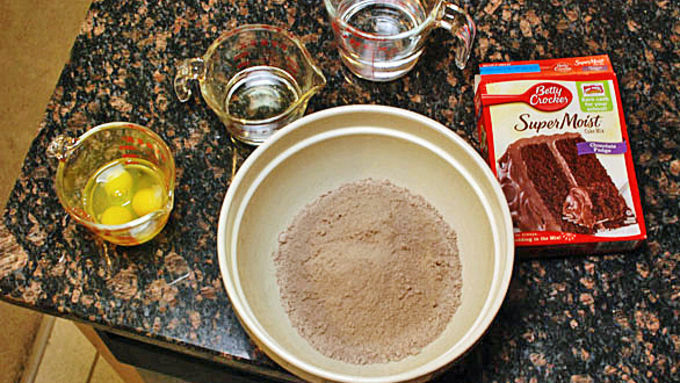 Spread into cupcake liners to make 24 cupcakes. Bake as instructed. 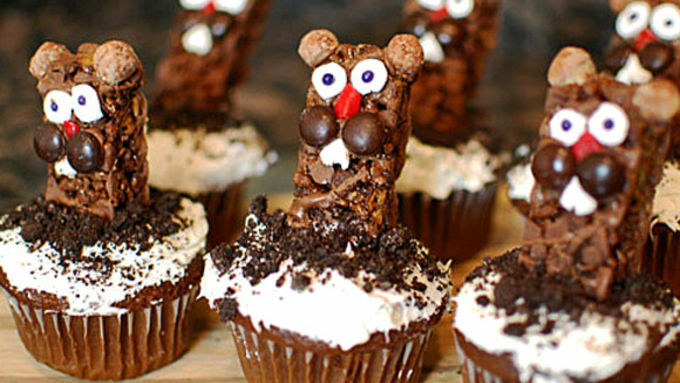 Allow cupcakes to cool while making your groundhogs. Start with a Cocoa Puffs™ bar. 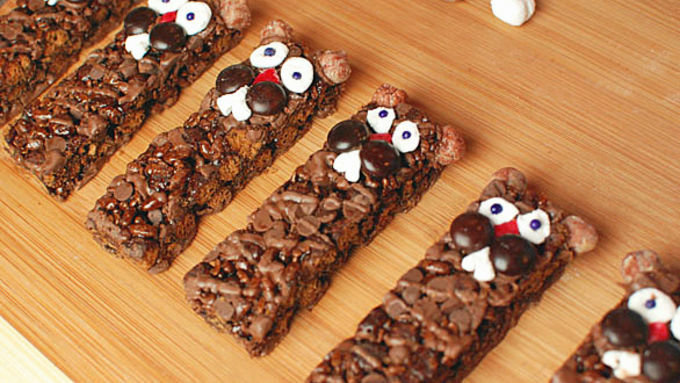 Using chocolate frosting as the glue, glue the face features to the bar to make the Groundhog -- Reese's Puffs® are the ears, the marshmallows are cut to form the eyes and the teeth, the brown M&M's® are the cheeks, the Fruit Roll Up is the nose, and the little round sprinkles are the eyeballs. Frost the cupcakes with the vanilla frosting. Use the Oreos on top to form a dirt mound. Insert the groundhog bar into the top center of a cupcake so it looks like he is popping out of the top. It might sound strange, but my girlfriend's favorite holiday is Groundhog Day. Every year she decorates the apartment, buys gifts, and tunes in live to see what Phil is gonna do. 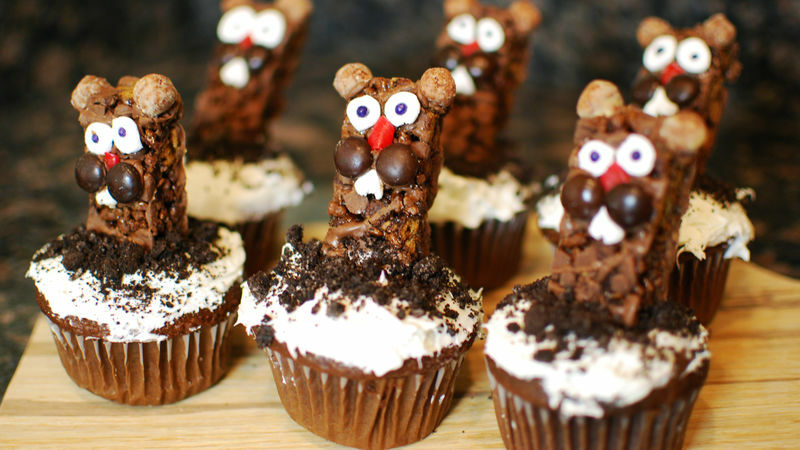 The highlight of the day though is always the Groundhog Cupcakes. She makes lots and lots of these little groundhog cupcakes to bring in to work. This time of year is the busy season in her profession, so she ends up baking and decorating these little guys through all hours of the night. Decorating the cupcakes are not as hard as you might think. All you need is some candy and frosting and you are on your way. I love winter, but by the time February comes around every year, I am hoping for an early spring. So here's to Phil not seeing his shadow! Reese’s Puffs is a registered trademark of Hershey Chocolate and Confectionery Company used under license.